foerschi: named for Dr. Walter Foersch. 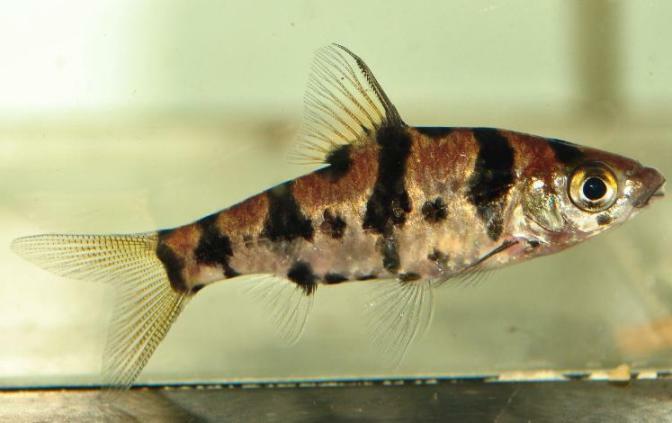 Appears to be native to the Indonesian provinces of Kalimantan Timur (East Kalimantan) and Kalimantan Tengah (Central Kalimantan) on the island of Borneo although information is quite scarce. Type locality is ‘About 50 to 100 kilometers north of Sampit, Kalimantan, Indonesia’, which presumably refers to the Sampit (aka Mentaya) River basin while the only other details we’ve been able to obtain suggest that it’s also been collected from the Mahakam drainage. Probably inhabits peat swamps and associated blackwater streams as with related members of the genus. Such habitats are typically shaded from the sun by marginal vegetation and the dense tree canopy above. Depending on locality the substrate may be composed of peat, mud or sand littered with submerged woody structures and leaf litter. 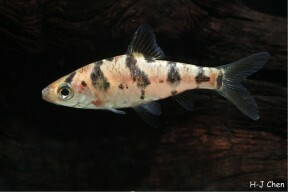 Can be kept in a planted aquarium and is an excellent choice for the carefully-aquascaped set-up. The addition of some floating plants and driftwood roots or branches to diffuse the light entering the tank also seems to be appreciated. To see it at its best a biotope-style set-up can also make an interesting project. A soft, sandy substrate is probably the best choice to which can be added a few driftwood roots and branches, placed in such a way that plenty of shady spots are formed. The addition of dried leaf litter would further emphasise the natural feel and fairly dim lighting should be used to simulate the conditions the fish would encounter in the wild. You could also add some aquatic plants able to survive under such conditions such as Microsorum, Taxiphyllum, or Cryptocoryne spp. 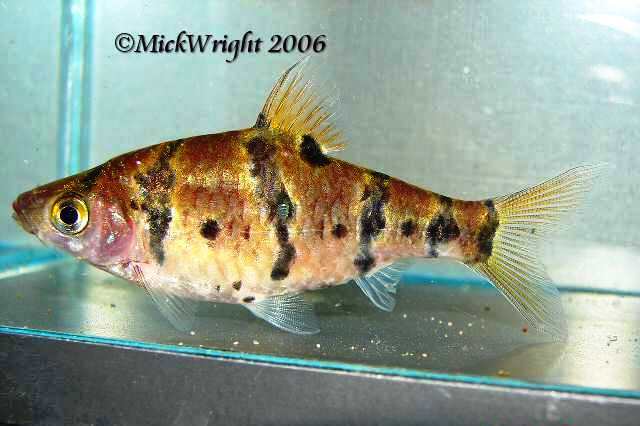 Should prove an ideal addition to a peaceful community of Southeast Asian fishes such as similarly sized cyprinids, nemacheild or cobitid loaches, and certain anabantoids. 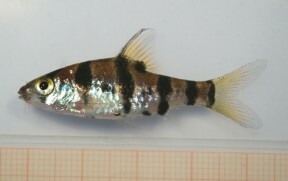 Adult males tend to be slightly smaller, are noticeably slimmer, and exhibit more intense colouration than females of a similar age. 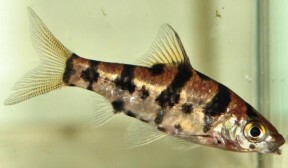 D. foerschi is sometimes traded as ‘boomerang barb’ or ‘Foersch’s fire barb’ and is included in a group of closely-related, similar-looking fishes which were moved into the new genus Desmopuntius by Kottelat (2013). It can be told apart from other vertically-striped congeners by possession of additional dark blotches between the second, third and fourth vertical bars and a further marking at the posterior base of the dorsal-fin. A small collection of fresh-water fishes from Kalimantan, Borneo, with descriptions of one new genus and three new species of Cyprinidae.